Cute newborn baby boy hat is our new arrival this autumn and it comes with an adorable pastel blue London themed print all-over, available in one size 0-6 months. It also comes packaged in a complimentary, beautiful gift box with a branded tag attached. 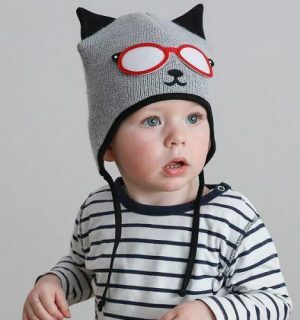 This gorgeous newborn hat is designed for little boys who begin their life long fun adventure. It comes with delicate London driver-like goggles attached on top of the hat. It also comes with useful ties to fasten under the chin for maximum comfort and to help shield your little one’s ears from a cool breeze. This newborn hat is the ideal practical piece for every day wear and it is a fantastic baby boy gift idea. 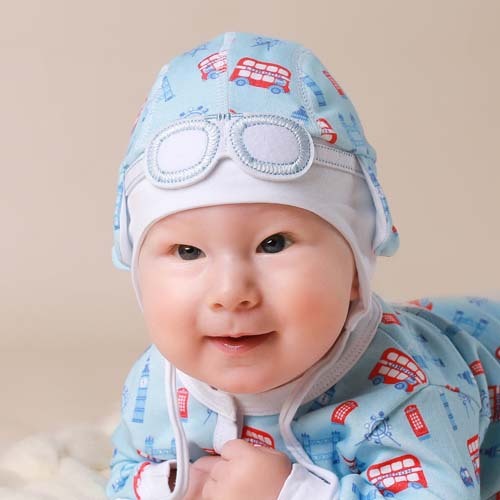 Cute newborn baby boy hat is our new arrival this autumn and it comes with an adorable pastel blue London red bus print all-over. Available in 0-6 month size. Comes packaged in a beautiful gift box with a branded tag attached. 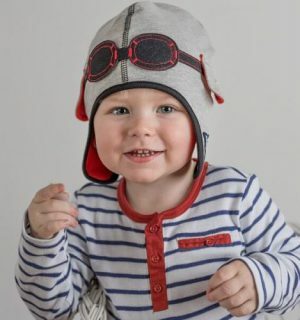 This gorgeous newborn hat is designed for little boys who begin their life long fun adventure. It comes with delicate London driver-like goggles attached on top of the hat. It also comes with useful ties to fasten under the chin for maximum comfort and to help shield your little one’s ears from a cool breeze. This newborn hat is the ideal practical piece for every day wear and it is a great baby boy gift as well. Cute newborn baby boy hat is our new arrival this autumn and it comes with an adorable pastel blue London themed print all-over, available in one size 0-6 months. It also comes packaged in a complimentary, beautiful gift box with a branded tag attached. This gorgeous newborn hat is designed for little boys who begin their life long fun adventure. It come with delicate London driver-like goggles attached on top of the hat. It also comes with useful ties to fasten under the chin for maximum comfort and to help shield your little one’s ears from a cool breeze. This newborn hat is the ideal practical piece for every day wear and it is a fantastic baby boy gift idea. We love all the small details on this hat such as the fully lined inside so there is no seams that can otherwise affect your baby’s delicate skin. The 100% interlock cotton gives that extra stretch and comfort as your baby starts to move and grow as well. The adorable London themed print comes in three colour variations to choose from – blue/red, pink/red and grey/red. 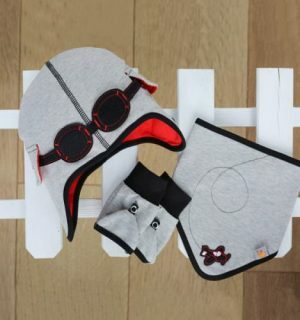 It is ideal if you’re looking for newborn hats, baby boy hats, boys hats, newborn baby gifts & baby shower gift ideas.